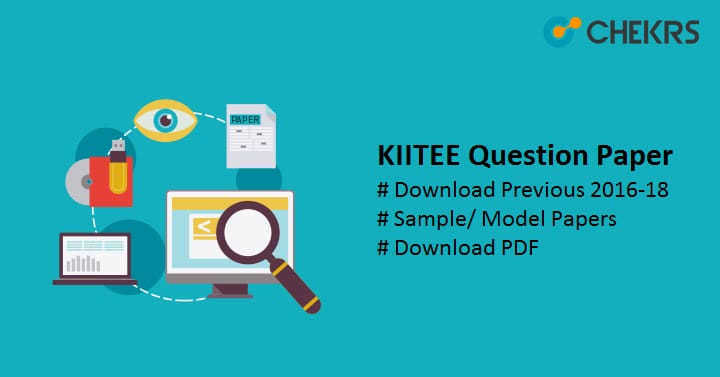 KIITEE Question Paper 2019: KIIT Entrance Exam is an All India Entrance Examination conducted by KIIT University. The KIITEE 2019 will be conducted to provide Admission into various courses and various field. Latest Update: KIITEE Papers Link Updated!! Check tables Below. To clear the exam candidates have to do the best preparation and the previous year question papers can help you in it. KIITEE Previous Year Question Papers can provide you enough details for your preparation, like the Paper pattern, Marking, and weightage. Similarly, the KIITEE Sample Paper will be good for your practice. In this Article, we are providing both. Go Through the article to download the Previous year papers as well as Sample Papers. We are providing here some old papers but this table will be updated with the KIITEE Previous 2016-18 Question Papers. So keep visiting. You will see new surprises every time. Download these Question Papers and start your preparation. Candidates can include KIITEE Sample Papers in their Preparation material. Sample Papers are given below in tabular form. Candidates need to download these papers to do the practice. Candidate needs to complete the preparation using KIITEE Syllabus and exam pattern. After completing the syllabus they can check their preparation using the Sample papers and KIITEE Question Papers. After solving each paper check your Answers. If you found wrong response and answers, Check the syllabus and mark the topics and prepare the marked topics again. Don’t forget to do the regular revision of the complete syllabus regularly. KIITEE Previous Year Question Paper can help you to crack the KIITEE Exam. The Sample Papers are provided by the exam authority on the official website. So credit goes to them. We are still searching for more KIITEE Question Paper 2019, We will update the table according to the new find. Thank You, Good luck. Keep Visiting.